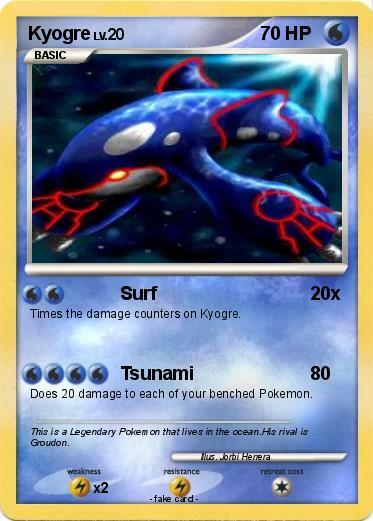 Times the damage counters on Kyogre. Does 20 damage to each of your benched Pokemon. Comments : This is a Legendary Pokemon that lives in the ocean.His rival is Groudon.